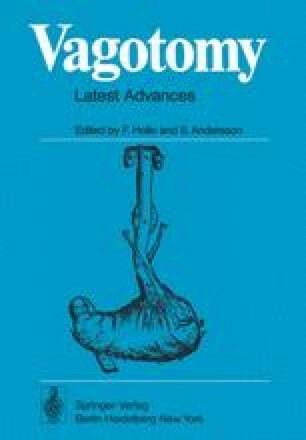 There is anatomical evidence that there are in the cervical vagus certain afferent fibers [1 ]. In spite of these anatomical studies, it is only recently that impulses of afferent fibers have been recorded from the stomach wall. Iggo, as well as Paintal, applying electrophysiological methods found that the afferent pathway from mechanoreceptors in the stomach wall passes through the vagi . Iggo also concluded that these afferent impulses are important for the autonomic activity of the stomach. An investigation was started in order to analyse the differences in the patterns of the afferent impulses which carry information from the different parts of the stomach to the Central Nervous System.